BUFFALO, N.Y. (WKBW) — For Wegman Motor Works Inc . , the first true snow of the year coming to the City of Buffalo has meant an uptick in business. "When we start to have forecasts of this magnitude, the business definitely picks up" Sales Manager Kyle Wegman said. It took until January for the first big snow of this winter, so that means this week has seen a large amount of people looking for help with their snowblowers. "The phone traffic, the foot traffic, people stopping and looking for equipment, it all increases with the forecast" Wegman said. Because there has been a rush the past few weeks, an individual looking to get their snowblower fixed immediately may need to look at fixing the problem themselves, and if you need an obscure tool to help, University Heights Tool Library is ready to lend a hand. "Things like doing repairs on small engines, snowblowers, that sort of stuff, we have a lot of those kinds of tools that people can fix things themselves" Darren Cotton, University Heights Tool Library founder and volunteer said. The University Heights Tool Library offers the public a chance to rent any of their 3,000 tools for up to a week at a time. It only costs $20 per year to be a member. 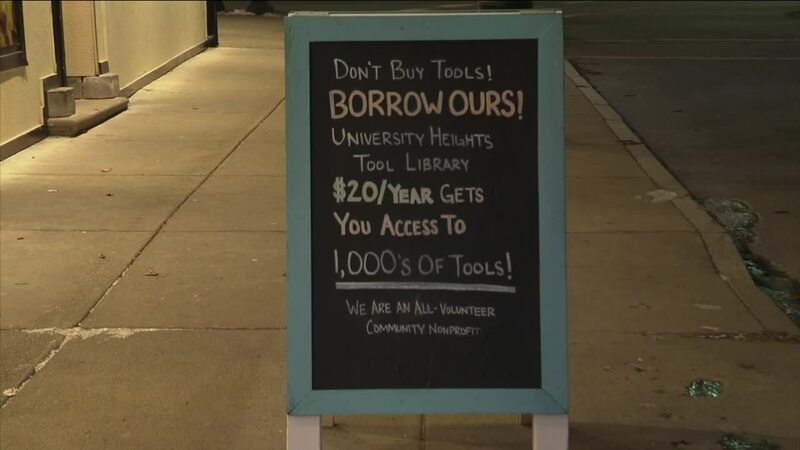 "You don't want to go to Home Depot and spend $200 bucks on that, something that you're going to use once," Cotton said, "You come to the Tool Library, sign up for $20, and you can borrow what you want when you need it and return it when you don't."